Ace Chem-Dry is managed and owned by Kyle Baldwin. With locations from Fort Collins to Johnstown and Cheyenne, Wyoming Ace Chem-Dry is the successful franchise of an even more successful parent company, Chem-Dry®. Our Chem-Dry® franchise system has been around for over 40 years, we continue to offer a full range of services and products that are second to none, with clean-cut, honest family professionals. Let us serve you so you can see the amazing difference between us and all the rest. Previously owned and operated by his parents, Kyle worked for the company for 15 years before taking over and carrying the Ace Chem-Dry banner himself. “Hi, I am Kyle Baldwin “The Englishman’s” son. After growing up working with my Dad (Marc Baldwin) in Chem-Dry®, I recently took over our well-established territory. My wife Sam and I have two beautiful boys and we enjoy spending our time with them and doing activities in our local community. This is literally a family owned business, we have been truly blessed to live and work in a fabulous community, and with many of our wonderful customers we consider valued friends. We also offer the latest technology with our powerful Hot Carbonating Truck Mount system – the best carpet cleaning system in the world. We are active in our community, and our church, and this business has enabled both my wife and myself to be there at every step for our beautiful children. Robert Harris started working his way through law school in the 1970’s as a carpet cleaner working for a different carpet cleaning company. He quickly became unsatisfied with the performance of available cleaning products and began researching a better solution. Harris’ research stretched into many years of studying the chemical properties and reactions of a variety of cleaning formulas combined with experimentation that required him to continually clean carpets with a succession of cleaning formulations. The process was similar to how Einstein tried a hundred times to build the perfect light bulb before he succeeded. Eventually, Robert Harris discovered the ideal cleaning formula. His unique carbonated solution delivered exceptional cleaning and was also safe and non-toxic. Harris founded Chem-Dry and soon the demand for his superior cleaning services grew exponentially. His entrepreneurial journey blossomed into a thriving success that has continued to grow since those first days in the early 70’s. 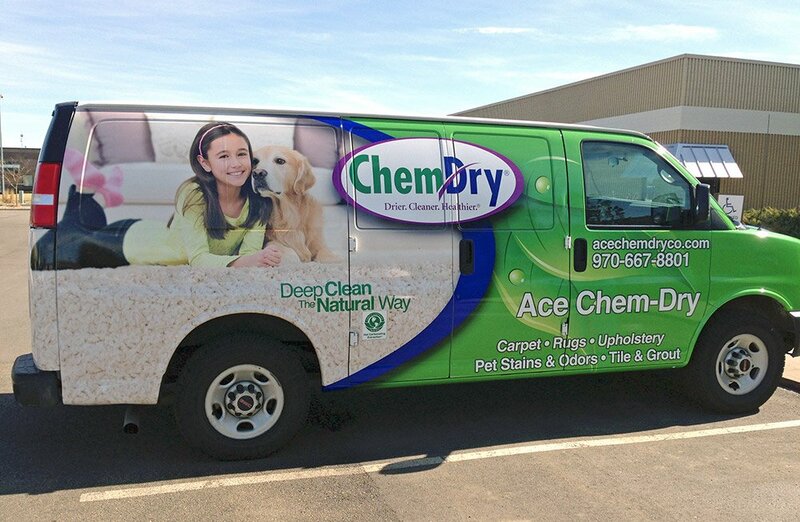 From the very first small group of franchise locations, the original Chem-Dry network has expanded over recent decades to offer thousands of successful franchises throughout the world, including Ace Chem-Dry based in Greeley, Colorado.